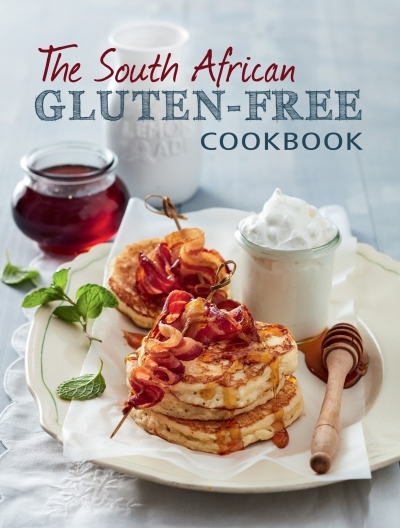 The South African Gluten-Free Cookbook offers recipes for those people following a gluten free diet. Gluten occurs in wheat, barley, spelt and rye, so it is important to note that wheat free does not mean the same as gluten free. To make a gluten-free flour mix, combine 500g white rice flour, 350g brown rice flour, 200g potato starch, 150g tapioca starch, 50g fat-free milk powder and 10mls xantham gum. Store in an airtight container and use as needed. 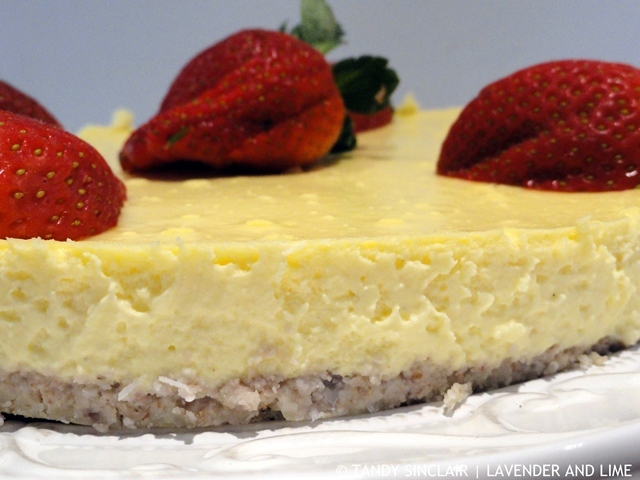 I made the lemon cheesecake and adapted it slightly. The only disappointment was the base. It was slightly oily and did not have a nice crunch to it. 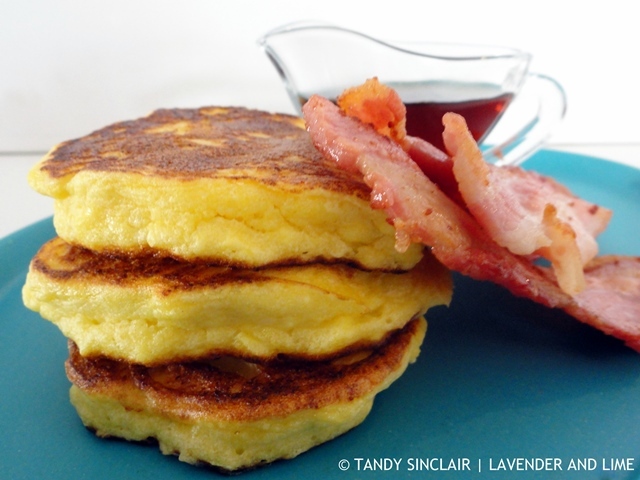 I then halved the recipe when I made the ricotta hotcakes and we devoured them all in no time. Dave had his with the bacon and maple syrup and I added pear and lemon butter to mine. I will carry on making my way through some of the recipes when my parents come to visit in December. Not every recipe has a photograph and in some instances, with 2 recipes per page some guesswork was needed to figure out which recipe was featured. On the whole the photographs were fairly good and some enticed me to want to try the recipe. But I could not understand why the pumpkin fritters recipe (p79) had a photograph of raw cauliflower. Where ingredients were used instead of the finished product for a recipe I wondered if they were actually tried and tested. Sounds like the ricotta hotcakes were a hit. Gluten free cookbooks are always good to have. I make sure I don’t eat too much of it. Have a great trip! Interesting post. I like the way you broke the book down. Hi Tandy, great review, like the cover and the flours that they used. I did not know that gluten free did not equal wheat free, Tandy so that is good to know. I shared this on Facebook. Thanks for the share Robbie. I don’t usually cook/bake gluten-free, but this cookbook looks like it has some awesome recipes in it!